Researchers at the University of Southampton are to play key roles in pioneering new research projects aiming to improve the lives of men living with and beyond prostate cancer. As men across the globe are sprouting the annual Movember campaign moustaches, 250,000 men are living with and beyond the disease in the UK. This makes it the most common form of cancer in men in the UK. A significant proportion of men who have prostate cancer will experience sexual health issues such as erectile dysfunction, psychological issues (including depression), and continence issues that have debilitating impacts on their lives and those of their families. Prostate Cancer UK and the Movember Foundation have launched two large scale, international initiatives to help men with prostate cancer and their families know more about the condition and make better choices about their treatment and care. To improve their quality of life, the Movember Foundation has launched the True North programme globally and is working with Prostate Cancer UK to implement the initiative in the UK. Its aim is to enable men to have access to life quality enhancing information, care and support including treatment information, lifestyle advice and better access to healthcare professionals. University of Southampton researchers have been awarded three funding grants from the Movember Foundation totalling £2.06m. They will investigate how continence management can be improved, how men and their families can be empowered to make better informed decisions about the care and treatment they receive and how the care given after treatment can be improved. Over the next few years, researchers will be running trials, workshops, developing training programmes, testing out model services and designing new products with patients and clinical staff to answers these questions. The Movember Foundation’s True North has been launched across the UK, as well as Australia, New Zealand, USA and Canada. Alongside the University of Southampton, the Universities of Surrey, Cardiff, Sheffield and University College London will lead the UK project. The Movember Foundation, in partnership with Prostate Cancer UK, has also launched a new project named ‘Life after prostate cancer diagnosis’ to identify what life is really like for thousands of men living with and after the disease. The £2.2m study is the largest of its kind in the UK. Researchers, including those from the University of Southampton, will analyse the experiences of more than 100,000 men who have been diagnosed with prostate cancer between one and three years ago. They aim to identify how a diagnosis of prostate cancer impacts a man’s daily life, and work out which factors lead to poorer outcomes for some. By highlighting any gaps in support and care services, the results will help shape changes to improve prostate cancer care in the future. 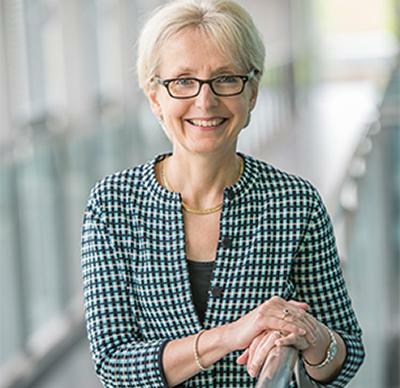 Professor Dame Jessica Corner and Dr Richard Wagland at the University of Southampton will be leading on the qualitative research element of the survey which will include in depth interviews with around 100 men to complement the wider survey. The ‘Life after prostate cancer diagnosis’ project will build on a pilot study led by the English Department of Health in 2012, which showed significant variation in how men were affected by prostate cancer, the level of impact of the disease on their lives, and how they coped with it. It will take the form of a confidential postal survey sent to men across all four UK nations. Questions will cover topics such as wellbeing and attitude towards their illness, impact of the cancer and its side effects on everyday life, reflections on choice of treatment and impact of other long term conditions. The project itself is also part of a much wider global Movember initiative, with similar studies planned so far in Ireland and Australia. All the information will eventually be pooled to enable the teams to learn from men’s experiences across different countries.